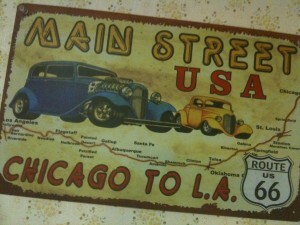 The famous Route 66 Highway was the first highway to be paved, and this occurred in 1938. (Can you imagine traveling on a dirt highway?) Over 74 years ago, a trend was started which is now the norm. There are a lot of interesting, history-filled stops along the way from Chicago to L.A. and a lot of interesting side trips as well.